Mr. Lynch serves as the Director of R&D for the Fire Risk Alliance (FRA). For over 15 years, Mr. Lynch has amassed a broad range of experience in fire protection engineering, code consulting, fire research and product development. Mr. Lynch has extensive fire testing experience having conducted numerous test series for litigation purposes, the military and commercial products. These projects include the development and testing of a volume sensor for shipboard use, smoke characterization and smoke detector response studies for litigation, comparative testing of smoke detector technologies and UL and FM standardized testing for smoke detectors, optical flame detectors, and suppression systems. Mr. Lynch is familiar with developing and testing technologies to identify market opportunities, competitive advantages, applications, and obtaining the appropriate listings for use. Mr Lynch has prepared several test plans conducting literature reviews, evaluating code requirements, assessing the market and applications while using standardized testing practices to develop and execute productive test series. Mr. Lynch has analyzed soot growth using laser scattering to evaluate the effect of smoke particle size on smoke detector activation, examined soot deposits on smoke detector horns to identify activation, evaluated UV, IR, Visible and Acoustic detection of events, developed and tested Video Image Detection (VID) technologies, evaluated sprinkler nozzles and water additives and worked with NFPA, UL and FM to develop new code and testing standards for Video Image Detection. Mr. Lynch has a B.S. in Mechanical Engineering and a M.E. in Fire Protection Engineering from WPI. He is a member or the Salamander Honorary Fire Protection Engineering Society, the National Fire Protection Association, the Society of Fire Protection Engineers, and the International Association Fire Safety Science. Mr. Lynch is a fire testing Committee member which includes NFPA 251, NFPA 252, NFPA 253, NFPA 255, NFPA 257, NFPA 259, NFPA 260, NFPA 261, NFPA 262, NFPA 265, NFPA 268, NFPA 269, NFPA 270, NFPA 271, NFPA 274, NFPA 275, NFPA 276, NFPA 277, NFPA 285, NFPA 286, NFPA 287, NFPA 288, NFPA 289, NFPA 290, NFPA 701, NFPA 705 fire codes. 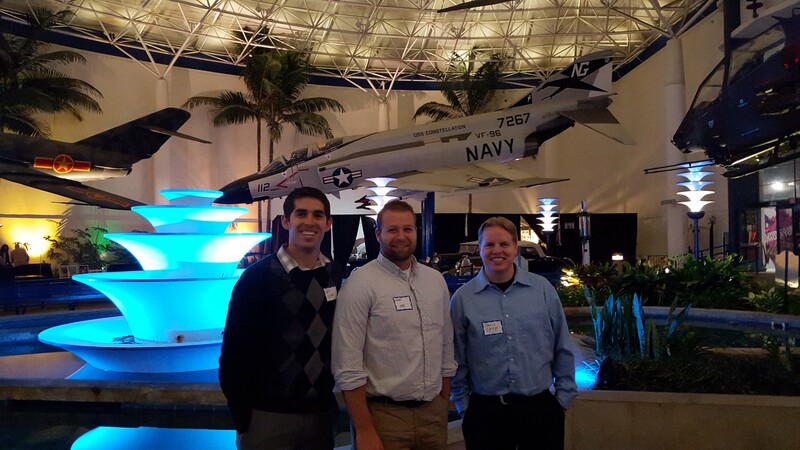 David Phillips, Derek Duval, and Will Fletcher represented the SFPE San Diego Chapter at the 2016 National Engineers Week (NEW) Annual Awards Banquet. The banquet was held on Friday February 26 at the San Diego Air & Space Museum in Balboa Park. The banquet included awards for Outstanding Engineer, Outstanding Engineering Educator, Outstanding Engineering Project(s), Dr. Thomas Avolt Kanneman, Outstanding Engineering Service Award, and Co-sponsored Projects Awards. The banquet also included a keynote speaker Dr. Richard Hallion “Technological Invention and Innovation: A Selective Review” and networking opportunities with other professional societies in San Diego. The National Engineers Week Foundation is a formal coalition of more than 100 professional societies, major corporations and government agencies dedicated to ensuring a diverse and well-educated future engineering workforce. The purpose of NEW is to call attention to the contributions to society that engineers make. It is also a time for engineers to emphasize the importance of learning math, science, and technical skills. For more information check out their website: http://www.new-sandiego.org/. The City Of San Diego has posted a new position for Senior Fire Protection Engineer. Please see the attached linked PDF below and contact KEisenstein@sandiego.gov directly with any questions regarding the opportunity. Also, please share in your networks! Please note, we have made a change to the date! The February meeting will be held on Thursday February 18, 2016 rather than Thursday February 11th, 2016. Please make that note. John grew up in Northeast Ohio and received an AAS in Electrical Engineering Technology from Youngstown State University in 1981. He then was employed in the estimating department at Warden Electric in Youngstown, OH and EL-O Electric in Cleveland, OH. 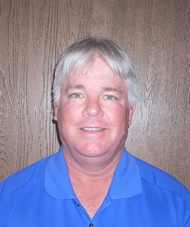 In 1983 he joined Tri-S –Controls as a fire alarm technician and transferred to Southern California in 1985. John serves on the board of the California Automatic Fire Association and also participates with the Los Angeles Sound JASC. John enjoys golf and enjoys a variety of sports especially hockey. 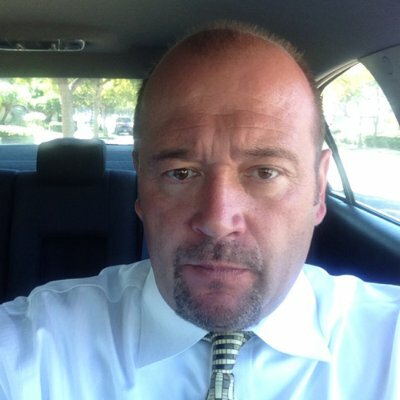 John currently lives in San Dimas, CA with his wife of 25 years. He has 5 children and a new grandson.